MOBIZ: What is the best method to build an opt-in database? What is the best method to build an opt-in database? The best way to build a large opt-in database is to provide a text message sweepstakes or text-to-win promotion. People love to win things and will participate if given the chance. Then, with their opt-in permission, you can market to this database of potential consumers via broadcast text messages. Text message sweepstakes are a great way to build an opt-in database, but you should be aware of the legal issues surrounding a mobile marketing contest. The first thing to understand is what a “game of skill” is versus a “game of chance.” A game of skill, if structured properly, is legal in all states if the ultimate winner is selected based on his or her skill rather than chance. In most cases, the obvious element to remove is “consideration.” Consideration is the payment of some fee to enter a text message sweepstakes. Providing an alternate form of entry that does not require the entrant to make a payment or sign up to receive goods or services effectively eliminates the consideration element from a sweepstakes promotion. 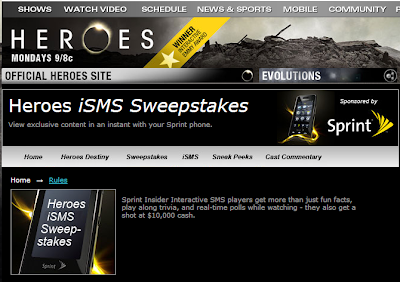 Those who offer text message sweepstakes should refrain from using the word “free” in their advertising. In addition, using the words “winner” or “guaranteed winner” can get you into trouble and comment regulatory procedings against your company. Please note that this is only a brief overview of the many regulations surrounding the provision of text message sweepstakes. You should obtain legal guidance from a professional with experience in this category prior to launching a mobile marketing game of chance or text message sweepstakes. Again, this is not intended to provide legal advice and the rules may differ from country to country. But whatever it maybe, if you are considering building a large opt-in database, a large scale text message sweepstakes or text-to-win promotion is certainly a great way to achieve this objective.